Hedon Spa&Hotel is a unique home for pleasures and relaxation. The spa side of Hedon is built into the historical mudbaths that for long have been one of the symbols of Pärnu. The new and exquisite part of the building is home to the hotel with its 72 contemporary-styled rooms and a fine dining restaurant Raimond. The old and the new are in perfect harmony. Take time for yourself – come and discover different pleasures with us! Through our homepage it is possible to purchase e-gift card that helps you to save time and its easy to form. With e-gift card you can make a special gift for your good friend, family member or colleague. It is easy – buy e-gift card from here. It is also possible to buy gift cards in hotel reception by choosing an appropriate value of services or through our sales team, where we also form service-based gift cards. Our gift cards are valid for 6 months and you can also use them to pay for spa treatments, accommodation or in restaurant Raimond. Rules and terms of using gift card. Additional information info@hedonspa.com or tel +372 44 99 000. You need to have your gift card with you, to pay for the services. Gift cards are not to be exchanged for cash. If the purchasing price is lower than the nominal value of a card, the remaining sum will not be refunded. Lost gift cards are not to be replaced by a new card or cash. The validity period of a gift card is six months from the selling date. It is not possible to use expired card for payments and these cards will be annulled. The validity period of a gift card has been marked on the front side of the card. The services marked on gift cards can be used during the validity period. Reproduction of a gift card in any form is prohibited. 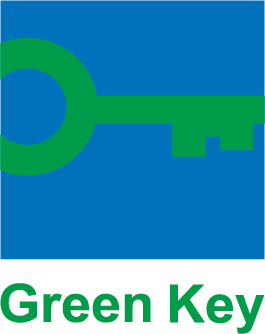 If specific services have been marked on the card, the customer is eligible to use the marked services only. The services marked on the gift card are not exchangeable. The services marked on gift cards can be used only in case of vacancies. Hedon Spa&Hotel reserved the right to check the authenticity of a gift card and to confiscate forged gift cards. Hedon Spa&Hotel is the sole owner of all rights over the gift card of Hedon Spa&Hotel. Gift card payment is done through Payment Center. After paying for your gift card, it will be sent to your e-mail. Gift card No *** includes Hedon spa services in the amount of euros. Hedon Spa&Hotel is a unique home for pleasures and relaxation. The spa side of Hedon is built into the historical mudbaths that for long have been one of the symbols of Pärnu. The new and exquisite part of the building is home to the hotel with its 72 contemporary-styled rooms and a fine dining restaurant Raimond. The old and the new are in perfect harmony. Take time for yourself - come and discover different pleasures with us! See you at Hedon spa! ·	Online-gift card is valid only to its marked value. ·	You need to have your online-gift card with you, to pay for the services. ·	Online-gift cards are not to be exchanged for money. ·	If the purchasing price is lower than the nominal value of a card, the remaining sum will not be refunded. ·	Lost gift cards are not to be replaced by a new card or money. ·	It is not possible to pay for services with a damaged gift card. ·	Gift card validity period is six months from the selling date. It is not possible to use expired card for payments and these cards will be annulled. ·	Gift card validity period has been marked on the front side of the card. The services marked on gift cards, can be used during the validity period. ·	Reproduction of a gift card in any form is prohibited. ·	Hedon Spa&Hotel reserved the right to check the authenticity of a gift card and to confiscate forged gift cards. 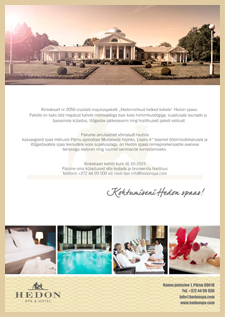 ·	Hedon Spa&Hotel is the sole owner of all rights over the gift card of Hedon Spa&Hotel.